BEST SELLING FULL COLOR HAND FANS! 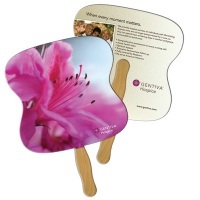 Put your logo in their hands, with a two sided, digitally printed in full color, high quality film laminated paper board, glued wooden stick fan. 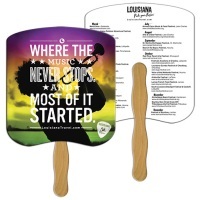 Hand fans act as mini billboards and are perfect for getting your custom message noticed at sports, trade shows, churches and much more. Film laminated on both sides for extra durability. Sticks are glued (not stapled) to fan back for safety and appearance. High density 22 pt. thickness. 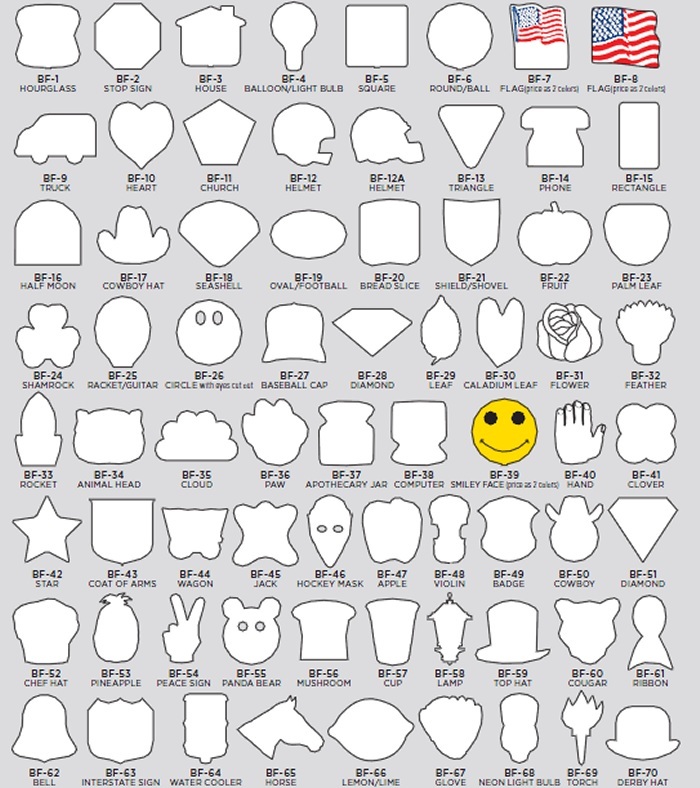 Not sure which fan is best for your needs? Give us a call (706-374-0710) to put our years of promotional and advertising experience to work for you and get a FREE quote. 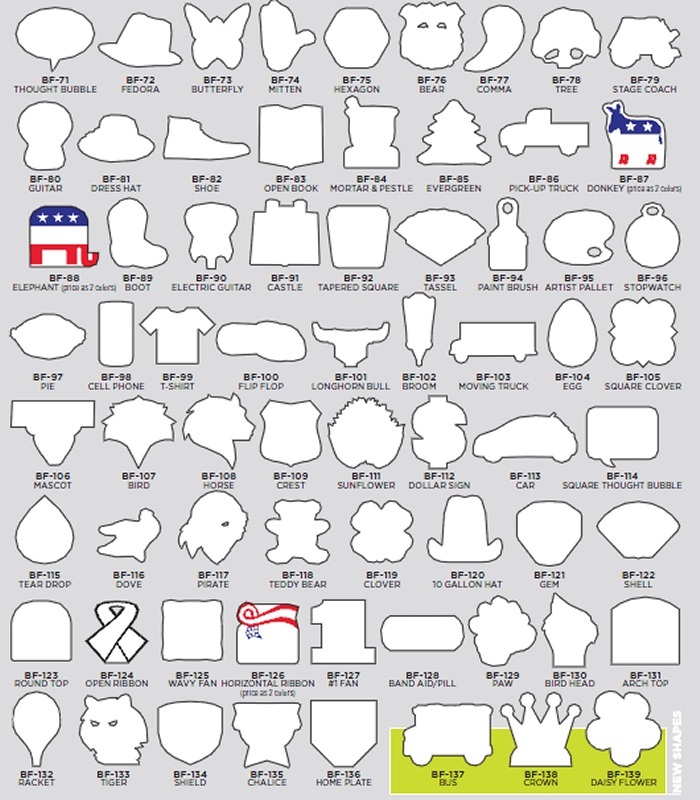 We offer the following stock shapes for the same low price. 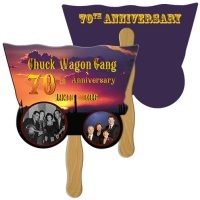 Each hand fan is about 8" x 9", not counting the handle. Production time is approximately 2 weeks.